With you for life means we’re here to answer your questions and help you find solutions. Check out the questions we hear most often and our answers below. If your question isn’t addressed, our customer service team is here to help.  Call us at 800-832-2004 or email us at CustomerService@ResidentialElevators.com. What Does A Home Elevator Cost? A home elevator is more affordable then you might imagine. Depending on the full specifications for your elevator you will usually find that you will spend more on kitchen appliances then you would on your elevator. Please contact Residential Elevators for pricing specifics by clicking here. What Is Included In A Base Elevator? Our home elevators provide the industries best safety features to protect you, your family and guests. A home elevator is governed by National Code (ASME Section 17.1) and Residential Elevators takes great pride in exceeding these national safety standards. Your entire elevator is protected by our holistic safety circuit which prevents elevator use if any one of the safety items are not secure. Get in touch with a Manufacturer Representative today to discuss these details by clicking here. A home elevator is governed by National Code (ASME Section 17.1) which states a private residence elevator can move at a maximum of 40 Feet Per Minute (FPM). Residential Elevator takes great pride in meeting these National Code requirements and we lift you at the maximum speed of 40 FPM. What Is The Highest In Travel You Can Go? A home elevator is governed by National Code (ASME Section 17.1) which states a private residence elevator can travel up to 50 Feet. Residential Elevators has installed tens of thousands of elevators across the country and can fit your home elevator travel requirements. Why do I need a phone line when I have a wireless phone/security system? A home elevator is governed by National Code (ASME 17.1) which states that a physical phone line must be provided to the elevator phone. What is a baffle and why do I need baffles? A home elevator is governed by National Code (ASME 17.1) as well as the Jurisdiction Having Authority which requires specific measurement adherence from the back of the door to the elevator threshold and gate. When an elevator is not within compliance, a baffle may be used to rectify this issue. Residential Elevators always recommends discussing the options for compliance with your local Manufacturing Representative or our Customer Service department to ensure you are providing proper means of compliance prior to installing. What is the interlock key? An interlock key is a special tool provided with your elevator to be used for emergency purposes only. The key is not meant to be easy to use and should really never be needed by you. If you look at the door on a commercial elevator you will notice a round hole located on the door. Since our home elevators are scaled down versions of a commercial unit we provide this same emergency access feature. What does it cost for service and maintenance packages? Service costs on your elevator vary depending on the issue you may have. Residential Elevators provides an industry leading 1-year warranty on our products starting from the time of installation as well as many service maintenance agreements post warranty. For specifics on our maintenance agreements offered, click here or give us a call at (800) 832-2004. What's the most commonly purchased elevator? Our Luxury Lift Traction Elevator is the most commonly purchased. A traction elevator is a scaled down version of many elevators you ride in commercial buildings today. To see more details regarding our Luxury Lift Traction click here. How often should I have my elevator serviced? A home elevator should be serviced at a minimum once per year to keep it performing at its optimal levels. Residential Elevators offers different maintenance agreements to help keep your investment protected. Please review our maintenance agreement information here. What options do you have other than a scissor gate? Residential Elevators offers Accordion Vinyl, Hardwood and Acrylic gate types. Speak with our office or local sales representative regarding specific selections to fit your needs. What does my warranty cover, how long does it last? Residential Elevators provides a 1-year warranty that starts at the time the installation is completed. The warranty covers many aspects of your elevator and is fully backed by Residential Elevators. If you are a current owner of a Residential Elevator and need a copy of our warranty information please call us at (800) 832-2004. What is the best way to prevent my kids from using the elevator in my absence? Residential Elevators provides many options to protect your home elevator from being used when you are not there. A Keyed Car Operating Panel or a Keyed Hall Station are just a few of the ways you can prevent elevator use. Our local Manufacturing Representatives would love to discuss these and other options with you.